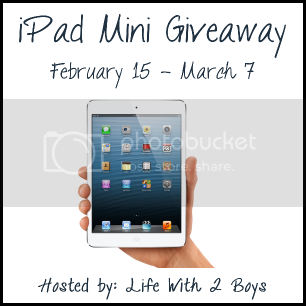 Welcome to the iPad Mini Giveaway Event hosted by Life With Two Boys and co-hosted by Mom to Bed by 8 and A Little Bit of Everything! 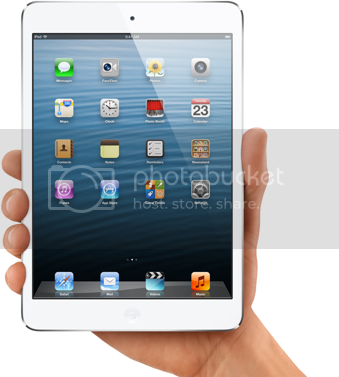 Thanks to our super awesome sponsor, Preply, one lucky winner is going to receive an iPad Mini with Wi-Fi 16GB - White & Silver (ARV $329). Preply is an online platform that connects students with qualified tutors for test preparation as well as academic tutoring. The purpose of the platform is to allow you, the client, to choose your own tutor, without having to pay commission to a company. You can find individual tutors on their platform, all at reasonable prices. Preply is not a selling you a brand; they connect you directly with the tutor, which can end up saving you upwards of 50 percent. They showcase awesome tutors who each have something special to offer - Ivy League education, years of experience, test prep expertise. You name it, you got it. The days of searching far and wide for a great tutor are over. Give it a shot. Visit Preply.com. Connect with Preply on Facebook and follow them on Twitter. Preply offers exclusive content for fans of their Facebook page. Be sure to visit their website to hire a tutor or to contact them with any questions. This giveaway is only open to US residents only, ages 18+. Giveaway ends on March 7th at 11:59 pm EST. Disclosure: No compensation was received for this post. Savy Mommy Moments is not responsible for prize fulfillment. this is a great product and fits almost anywhere! They quickly identify your weaknesses. I like the way they save you time and money. You can get one to one tutoring over skype to help your child prepare for exams. It's great you can tutor over skype. I had never even heard of preply! A wonderful, convenient tutoring service that will be great when the kids get a little older! Introducing Earth's Best Reward Program! Day #6: Music & Me - Milkshake - Got a Minute?